Project A is the operational VC that provides its ventures with capital, an extensive network and exclusive access to a wide range of operational expertise. The Berlin-based investor makes use of the €260m in assets under its management to back early-stage companies in the digital technology space. With its unique organizational structure featuring 100 operational experts, Project A offers its portfolio companies hands-on support in the areas of Software Engineering, Digital Marketing, Design, Communications, Business Intelligence, Sales and Recruiting. The portfolio includes companies such as Artisense, Catawiki, Horizn Studios, KRY, LIQID, Spryker, uberall and WorldRemit. You can find more information at www.project-a.com and on the blog insights.project-a.com . We are looking for: A new team member for one of our portfolio companies. What will keep you challenged? Designing and building a robust, scalable and secure platform and like contributing to all phases of the development lifecycle Writing clean, maintainable and efficient code and following the best practices (TDD, CI, PRs, code reviews & standards) Driving continuous adoption and integration of relevant new technologies Ongoing cooperation with other developers and product designers to brainstorm and test new ideas is natural to you Which traits contribute to your success? At least 5 years experience in Ruby and object-oriented development Passionate Ruby code writer and have excellent knowledge of the Rails framework and the Ruby ecosystem Previously worked with both relational databases (MySQL or PostgreSQL) and NoSQL databases/Key-Value stores (Redis, Riak, Cassandra, etc.) Know how to avoid analysis paralysis and how to build great software You know that being a great developer is about much more than writing code and you think about architecture, scalability, performance and design implications with every decision you make Prior experience with Elastic-search, Amazon Web Services, designing and developing Restful APIs or single page applications Comfortable with agile development (Scrum/Kanban) and automated testing A team player mentality and have passions or hobbies outside of work – you understand the need for balance Familiar with Node.js and Python is a plus What to expect working with us: Becoming part of a highly professional and motivated team Having the unique opportunity to experience and shape the development of a recently founded company by bringing in your own ideas Flexible and family friendly working hours, taking Home office from time to time is also not a problem An attractive compensation packet Benefiting from a communicative, creative and stimulating environment Do you want to be part of our success story? We are looking forward to your online application. 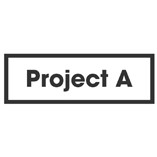 Project A is the operational VC that provides its ventures with capital, an extensive network and exclusive access to a wide range of operational expertise. The Berlin-based investor makes use of the €260m in assets under its management to back early-stage companies in the digital technology space. With its unique organizational structure featuring 100 operational experts, Project A offers its portfolio companies hands-on support in the areas of Software Engineering, Digital Marketing, Design, Communications, Business Intelligence, Sales and Recruiting. The portfolio includes companies such as Artisense, Catawiki, Horizn Studios, KRY, LIQID, Spryker, uberall and WorldRemit. You can find more information at www.project-a.com and on the blog insights.project-a.com . We are looking for: A new team member for one of our portfolio companies. What will keep you challenged? Transforming large sets of different data sources into a data warehouse Experience with using Python, Postgres, Google Cloud Platform (Bigquery) and Jenkins within our ETL infrastructure. (open-source, have a look at ( https://github.com/mara/mara-example-project ) Building data visualization products to scale data access across the company Building predictive analytics in production, in collaboration with our data analysts Responsibility for our data infrastructure and choosing the right tools Which traits contribute to your success? 4 years of experience in Software Engineering Proven interest in data and algorithms and mind blowing knowledge on the following computer programming languages: Python, SQL Experience working in an agile software development process Can rock it using PostgreSQL, Bigquery, MySQL/MariaDB and other data storage solutions Experience with data workflow orchestrators (Airflow, Luigi or similar) is a strong plus Can create match/sort/filter algorithms Knowledge of the following basic tools of software engineering: programming in multiple languages, HTTP and current web technologies, the unix command line (bash scripts, Makefiles) and basic server administration, version control systems, a basic understanding of the interplay between software and memory, hard discs and the CPU Basic understanding of mathematics and machine learning A love for automating everything, working in a team/making team decisions Ready to work in a “fast-paced” and constantly changing environment Speaking and writing English fluently What to expect working with us: Competitive compensation, including a bonus scheme A unique challenge at one of Europe’s fastest growing e-commerce companies A fast-paced learning curve: you get big challenges instead of tasks to work on, which makes you learn faster The best office in Rotterdam, right on the “Witte de With”, the coolest street in Rotterdam. Only 5 minutes away from Rotterdam Central Station Breakfast, lunch, and dinner all taken care of; healthy, delicious, and made with a lot of love Opportunities to grow, even into our Leadership Team. We don’t look for age or background, if you are extremely good, you will grow quickly Seriously: The best business bubbles, Team Events and our own bar do we need to say more? Do you want to be part of our success story? We are looking forward to your online application. Project A is the operational VC that provides its ventures with capital, an extensive network and exclusive access to a wide range of operational expertise. The Berlin-based investor makes use of the €260m in assets under its management to back early-stage companies in the digital technology space. With its unique organizational structure featuring 100 operational experts, Project A offers its portfolio companies hands-on support in the areas of Software Engineering, Digital Marketing, Design, Communications, Business Intelligence, Sales and Recruiting. The portfolio includes companies such as Artisense, Catawiki, Horizn Studios, KRY, LIQID, Spryker, uberall and WorldRemit. You can find more information at www.project-a.com and on the blog insights.project-a.com . We are looking for: A new team member for one of our portfolio companies. What will keep you challenged? Being responsible for the translation and transformation of all stakeholders' needs into concrete specifications for the Data Warehouse and BI system Ensuring that "Snowflake" is being optimized Performing database functions in "Stitch" to clean, consolidate, and rationalize data if there are any schema or architectural changes Configuring "Looker" with "Snowflake" and formatting the analytics layer in "LookML" Developing data acquisition strategy with digital analytics tools Maintaining the data infrastructure including "Stitch, Snowflake, and Looker" Providing analytical support to other departments as needed Performing both regular and ad hoc analyses around key business questions Supporting and training our operational departments in using BI and Digital Analytics tools Which traits contribute to your success? 5+ years of relevant working experience in the Data and Analytics field; ideally in the field of Business Intelligence in a SAAS company Bachelor’s or Master’s degree preferable in a quantitative field (e.g. Mathematics, Statistics, Operations Research, Economics, Physics) Very good knowledge of "SQL" and BI-tools such as "Looker, Tableau, Pentaho, BA or QlikView" Experience in translating complex data questions into meaningful insights for non-technical stakeholders Knowledge of database management and performance optimization Experience with "LookML, SQL" and data modeling Knowledge of Digital Analytic tools (e.g. Google Analytics, Google Tag Manager, BigQuery) and know-how to analyze the data Experience in project management A service-oriented mindset Very good communication skills, hands-on mentality and team spirit What to expect working with our portfolio company: Becoming part of a highly motivated and professional team Having the unique opportunity to experience and to make an impact on recently founded companies Working independently, have all the freedom you need and are thus able to personally grow and develop yourself on a constant basis Working at a modern and well-equipped office in the heart of Berlin Benefiting from a communicative, creative and stimulating environment Do you want to be part of the success story of our portfolio company? We are looking forward to your online application. Project A is the operational VC that provides its ventures with capital, an extensive network and exclusive access to a wide range of operational expertise. The Berlin-based investor makes use of the €260m in assets under its management to back early-stage companies in the digital technology space. With its unique organizational structure featuring 100 operational experts, Project A offers its portfolio companies hands-on support in the areas of Software Engineering, Digital Marketing, Design, Communications, Business Intelligence, Sales and Recruiting. The portfolio includes companies such as Artisense, Catawiki, Horizn Studios, KRY, LIQID, Spryker, uberall and WorldRemit. You can find more information at www.project-a.com and on the blog insights.project-a.com . We are looking for: A new team member for one of our portfolio companies. What will keep you challenged? Support budget and spend allocation decisions through the development and optimisation of marketing attribution models Working closely with the (marketing) team to plan, analyse, track and report on performance of paid and unpaid media and CRM campaigns, revenue and ROI to constantly improve the performance Understanding and challenging existing processes and strategies through deep-dive analysis Making suitable recommendations based on data to optimize and enhance regular campaign report deliverables Supporting the growth marketing team with ad-hoc analysis and reports on effectiveness of various marketing and sales tactics Translating marketing results into easy understandable, valuable findings Providing department-specific KPIs and dedicating insightful reports to different stakeholders to support strong data-driven decision making Developing standards and best practices for data collection, processing, analysis, reporting and dashboards Taking ownership of data-related projects from start to finish in collaboration with other departments Maintaining and further developing the company own data warehouse Designing the data collection with Digital Analytics Tools (Google Analytics, Google Tag Manager) and developing it further Supporting and training other business units in the use of BI reporting, BI self-service and digital analytics tools Which traits contribute to your success? At least 3 years’ experience in the field of analytics, Business Intelligence or Marketing intelligence, startups/e-commerce is a plus Extensive experience of working with/reporting on performance marketing metrics and extracting valuable insights from them Knowledge of using master (web-)analytical tools such as Google analytics and BigQuery and being an expert in PostgreSQL and GTM Experience with marketing attribution,marketing-mix modelling and gathering best-practice in the field A deep understanding of the responsibilities of BI as a department and its’ impact on the business Deep analytical knowledge and the strive to establish a data mindset within the company Being fond of working with a high degree of detail and having excellent communication skills Being a results-oriented team player, taking responsibility from day one Fluent in English; proficiency in German is a plus What to expect working with our portfolio company: Becoming part of a highly motivated and professional team Having the unique opportunity to experience and to make an impact on recently founded companies Working independently, have all freedom you need and are thus able to personally grow and develop yourself on a constant basis Working at a modern and well-equipped office in the heart of Berlin Benefiting from a communicative, creative and stimulating environment Do you want to be part of the success story of our portfolio company? We are looking forward to your online application. Project A ist der Operational VC, der neben Kapital ein großes Netzwerk und exklusiven Zugang zu einem breiten Spektrum an Services bietet. Der Berliner Investor verwaltet 260 Millionen Euro, mit denen er Technologie-Startups finan- ziert. Kern von Project A ist das Team aus 100 erfahrenen Experten, die die Port- foliounternehmen operativ unterstützen in Bereichen wie Software Engineering, Digitales Marketing, Design, Kommunikation, Business Intelligence, Sales und Recruiting. Zum Portfolio gehören Unternehmen wie Artisense, Catawiki, Horizn Studios, KRY, LIQID, Spryker, uberall und WorldRemit. Mehr Informationen auf www.project-a.com und auf dem Blog insights.project-a.com. Wir suchen: Ein neues Teammitglied für unser A-Team. Was wird dich herausfordern? Eigenständige Übersetzung und Umsetzung aller Anforderungen der Stakeholder in konkrete Angaben für das Data Warehouse und das BI-System Sicherstellung der Optimierung von Snowflake Ausführung von Datenbankfunktionen, um Daten zu bereinigen, zu konsolidieren und zu rationalisieren, wenn Schema- oder Architekturänderungen an diesen vorgenommen werden Konfigurierung von Looker mit Snowflake und Modellierung der Analyseebene in LookML Eigene Entwicklung der Datenerfassungsstrategie mit digitalen Analysewerkzeugen Pflege der Dateninfrastruktur einschließlich Stitch, Snowflake und Looker Analytische Unterstützung anderer Abteilungen bei Bedarf Durchführung regelmäßiger als auch Ad-hoc-Analysen zu wichtigen Geschäftsfragen Unterstützung und Schulung der Fachabteilungen im Umgang mit BI- und Digitalanalyse-Tools Welche Eigenschaften tragen zu deinem Erfolg bei? Mehr als 5 Jahre einschlägige Berufserfahrung im Bereich Daten und Analytik; idealerweise im Bereich Business Intelligence in einem SAAS-Unternehmen Bachelor- oder Master-Abschluss im quantitativen Bereich bevorzugt (z.B. Mathematik, Statistik, Operations Research, Wirtschaftswissenschaften, Physik) Sehr gute Kenntnisse von SQL- und BI-Tools wie Looker, Tableau, Pentaho, BA oder QlikView Erfahrung in der Umsetzung komplexer Datenfragen in aussagekräftige Erkenntnisse für nicht-technische Interessengruppen Kenntnisse in LookML,SQL und data modeling Kenntnisse über digitale Analysetools (z.B. Google Analytics, Google Tag Manager, BigQuery) und Know-how zur Analyse der Daten Erfahrung mit Datenbankmanagement und Performance-Optimierung sowie fundierte Kenntnisse im Projektmanagement Eine serviceorientierte Denkweise Sehr gute Kommunikationsfähigkeit, Hands-on-Mentalität und Teamgeist Was du von unserem Portfoliounternehmen erwarten kannst: Werde Teil eines hochprofessionellen und motivierten Teams Erhalte die Chance, den Aufbau eines neu gegründeten Unternehmens mitzuerleben und durch eigene Ideen voranzubringen Entwickle dich optimal weiter durch ein Höchstmaß an Gestaltungsspielräumen Arbeite an einem hochmodernen, top ausgestatteten Arbeitsplatz mitten in Berlin Profitiere von einem kommunikativen, anregenden und inspirierenden Umfeld Lust bekommen, an unserer Portfolio Unternehmen Erfolgsstory mitzuwirken? Wir freuen uns auf deine Onlinebewerbung. Project A is the operational VC that provides its ventures with capital, an extensive network and exclusive access to a wide range of operational expertise. The Berlin-based investor makes use of the €260m in assets under its management to back early-stage companies in the digital technology space. With its unique organizational structure featuring 100 operational experts, Project A offers its portfolio companies hands-on support in the areas of Software Engineering, Digital Marketing, Design, Communications, Business Intelligence, Sales and Recruiting. The portfolio includes companies such as Artisense, Catawiki, Horizn Studios, KRY, LIQID, Spryker, uberall and WorldRemit. You can find more information at www.project-a.com and on the blog insights.project-a.com. We are looking for: A new team member for our A-Team. What will your job look like? Data is trending upwards📈 With the rise of digital-first business models, deriving valuable insights from data is the key differentiator for today’s companies. The Project A Data team helps our ventures to gain access to these insights through impactful analyses, advanced tracking technologies and state-of-the-art data warehouses - often built based on our own data transformation framework called Mara . Your role in our team will be to work closely with our portfolio of digital leaders and help them implement data-driven decision making in all aspects of their business. You will be exposed to different business models, analytical problems and technology stacks all the while getting unique insights into our VC investment process - which ensures one of the steepest learning curves in Data that Germany has to offer. Read for yourself, here . What will keep you challenged? Support for our ventures to establish data-driven decision-making within their organization Pro-active identification of company and portfolio-wide improvement potentials and translation into innovative projects Hands-on data warehousing project management including a variety of contemporary technology stacks Development of and responsibility for reliable tracking and data acquisition with advanced tracking technologies Advanced statistical analysis in close collaboration with our Data Engineering/ Data Science team Deriving insights for key stakeholder teams such as marketing, sales, product management and customer support and enabling them to act upon those Support and training of the operational departments in interpreting data and using digital analytics tools as well as our data warehouses Which traits contribute to your success? University degree and (more importantly) an affinity for numbers Relevant working experience in the fields of data and analytics in fast paced, high-performance environments Enjoy managing complex projects that keep business stakeholders up-to-date and create valuable outcomes for our ventures Besides being an expert in SQL, you might also know Python, R or another language for data analysis – additional experience in machine learning projects is a plus Familiarity with the data tool landscape to extract, transform, and visualize data (Google Analytics, Snowplow, Snowflake, Big Query, Redshift, PostgreSQL, Mode, Tableau, Looker,... - you name it) Excellent analytical, and strong communication skills as well as a hands-on mentality What to expect working with us: Zeitgeisty technology stacks and business models Becoming part of a highly motivated and professional team Having the unique opportunity to experience and to make an impact on recently founded companies Working independently, have all the freedom you need and are thus able to personally grow and develop yourself from an exponential learning curve on a constant basis Working at a modern and well-equipped office in the heart of Berlin Benefiting from a communicative, creative and stimulating environment while gaining insights into investments of the leading German operational VC Do you want to be part of our success story? We are looking forward to your online application. Project A is the operational VC that provides its ventures with capital, an extensive network and exclusive access to a wide range of operational expertise. The Berlin-based investor makes use of the €260m in assets under its management to back early-stage companies in the digital technology space. With its unique organizational structure featuring 100 operational experts, Project A offers its portfolio companies hands-on support in the areas of Software Engineering, Digital Marketing, Design, Communications, Business Intelligence, Sales and Recruiting. The portfolio includes companies such as Artisense, Catawiki, Horizn Studios, KRY, LIQID, Spryker, uberall and WorldRemit. You can find more information at www.project-a.com and on the blog insights.project-a.com . We are looking for: A new team member for one of our portfolio companies. What will keep you challenged? Participate in the entire development process from planning and discussing the architecture to quality assurance and the implementation of highly scalable platforms Drive the design and development of new innovative features from the technical point of view Build scalable, low-latency pipelines and components to handle large volumes of data Act as an interface between product management, design, business and users Develop your own ideas for code and process improvements and work together with your team to reach the next level Ensure the quality of our applications/platforms through regular code reviews Share and expand your knowledge by exchanging information within our Portfolio company's IT team and within the network of developers about backend best-practices Which traits contribute to your success? Depth knowledge and experience in Java and working with databases Passion for professional software development (algorithms, design patterns, clean code, agile processes, data structures) Independent and goal-oriented working style Very good knowledge of English, German language skills are a plus Some technologies you will be working with: Java 8, Spring, Tomcat PostgreSQL, Redis, Elasticsearch Docker, Kubernetes AWS Microservices architecture What to expect working with our portfolio company: Becoming part of a large family with flat hierarchies and high design freedom Experiencing regular company and team events Working in a modern, light-flooded office directly close to Treptower Park Utilizing various possibilities for professional and personal development Benefiting from company benefits, such as company pension schemes, as well as other employee offers, partner programs, and employee discounts Do you want to be part of the success story of our portfolio company? We are looking forward to your online application. Project A is the operational VC that provides its ventures with capital, an extensive network and exclusive access to a wide range of operational expertise. The Berlin-based investor makes use of the €260m in assets under its management to back early-stage companies in the digital technology space. With its unique organizational structure featuring 100 operational experts, Project A offers its portfolio companies hands-on support in the areas of Software Engineering, Digital Marketing, Design, Communications, Business Intelligence, Sales and Recruiting. The portfolio includes companies such as Artisense, Catawiki, Horizn Studios, KRY, LIQID, Spryker, uberall and WorldRemit. You can find more information at www.project-a.com and on the blog insights.project-a.com . We are looking for: A new team member for one of our portfolio companies. What will keep you challenged? Build data-driven applications for our ventures: data warehouses, marketing automations, recommendation engines etc. Integrate data from various systems into flexible and consistent representations. You will make sure that all people and IT systems in the organization have easy access to data through various front-ends and interfaces. Adapt our toolset to ever new challenges Work in an agile software development process in close collaboration with the BI team Which traits contribute to your success? A master's degree in computer science or a comparable qualification Genuine interest in data and algorithms and excitement about solving difficult problems Knowledge of the following basic tools of software engineering: programming in multiple languages, HTTP and current web technologies, the unix command line and basic server administration, version control systems, a basic understanding of the interplay between software and memory, hard discs and the CPU Profound knowledge about the inner workings of database systems Eagerness to delve into new technologies and programming languages Basic understanding of mathematics and machine learning Ability to turn data science into something that creates business value ( for more click here ) Our current Stack: Mac or Linux, Python, bash scripts, Makefiles. Our own open-source data integration framework Mara ( for more click here ), but also Airflow and Luigi PostgreSQL for ETL ( for more click here ), Kinesis & BigQuery for event collection and querying AWS, GCP, Azure, Saltstack, Ansible What to expect working with us: Becoming part of a highly motivated and professional team Having the unique opportunity to experience and to make an impact on recently founded companies Working independently, have all freedom you need and are thus able to personally grow and develop yourself on a constant basis Working at a modern and well-equipped office in the heart of Berlin Benefiting from a communicative, creative and stimulating environment Do you want to be part of our success story? We are looking forward to your online application. Project A is the operational VC that provides its ventures with capital, an extensive network and exclusive access to a wide range of operational expertise. The Berlin-based investor makes use of the €260m in assets under its management to back early-stage companies in the digital technology space. With its unique organizational structure featuring 100 operational experts, Project A offers its portfolio companies hands-on support in the areas of Software Engineering, Digital Marketing, Design, Communications, Business Intelligence, Sales and Recruiting. The portfolio includes companies such as Artisense, Catawiki, Horizn Studios, KRY, LIQID, Spryker, uberall and WorldRemit. You can find more information at www.project-a.com and on the blog insights.project-a.com . We are looking for: A new team member for our A-Team. What will your job look like? Data is trending upwards📈 With the rise of digital-first business models, deriving valuable insights from data is the key differentiator for today’s companies. The Project A Data team helps our ventures to gain access to these insights through impactful analyses, advanced tracking technologies and state-of-the-art data warehouses - often built based on our own data transformation framework called Mara . Your role in our team will be to work closely with our portfolio of digital leaders and help them implement data-driven decision making in all aspects of their business. You will be exposed to different business models, analytical problems and technology stacks all the while getting unique insights into our VC investment process - which ensures one of the steepest learning curves in Data that Germany has to offer. Read for yourself, here . What will keep you challenged? Support for our ventures to establish data-driven decision-making within their organization Pro-active identification of company and portfolio-wide improvement potentials and translation into innovative projects Hands-on data warehousing project management including a variety of contemporary technology stacks Development of and responsibility for reliable tracking and data acquisition with advanced tracking technologies Advanced statistical analysis in close collaboration with our Data Engineering/ Data Science team Deriving insights for key stakeholder teams such as marketing, sales, product management and customer support and enabling them to act upon those Support and training of the operational departments in interpreting data and using digital analytics tools as well as our data warehouses Which traits contribute to your success? University degree and (more importantly) an affinity for numbers Relevant working experience in the fields of data and analytics in fast paced, high-performance environments Enjoy managing complex projects that keep business stakeholders up-to-date and create valuable outcomes for our ventures Besides being an expert in SQL, you might also know Python, R or another language for data analysis – additional experience in machine learning projects is a plus Familiarity with the data tool landscape to extract, transform, and visualize data (Google Analytics, Snowplow, Snowflake, Big Query, Redshift, PostgreSQL, Mode, Tableau, Looker,... - you name it) Excellent analytical, and strong communication skills as well as a hands-on mentality What to expect working with us: Zeitgeisty technology stacks and business models Becoming part of a highly motivated and professional team Having the unique opportunity to experience and to make an impact on recently founded companies Working independently, have all the freedom you need and are thus able to personally grow and develop yourself from an e xponential learning curve on a constant basis Working at a modern and well-equipped office in the heart of Berlin Benefiting from a communicative, creative and stimulating environment while gaining insights into investments of the leading German operational VC Do you want to be part of our success story? We are looking forward to your online application. Project A is the operational VC that provides its ventures with capital, an extensive network and exclusive access to a wide range of operational expertise. The Berlin-based investor makes use of the €260m in assets under its management to back early-stage companies in the digital technology space. With its unique organizational structure featuring 100 operational experts, Project A offers its portfolio companies hands-on support in the areas of Software Engineering, Digital Marketing, Design, Communications, Business Intelligence, Sales and Recruiting. The portfolio includes companies such as Artisense, Catawiki, Horizn Studios, KRY, LIQID, Spryker, uberall and WorldRemit. You can find more information at www.project-a.com and on the blog insights.project-a.com . We are looking for: A new team member for one of our portfolio companies. What will keep you challenged? Full responsibility for parts of our robotics venture’s infrastructure and turning prototypes into product-ready code Being part of a small software engineering team who value clear and friendly communication Making decisions based on reasons Develop and improve the company’s Python code base Finding solutions and working close together with the robotics and machine learning teams Which traits contribute to your success? Several years of experience in Python development Familiarity with Go, Git, and Linux An analytical mindset with a taste for problem solving Willingness to own code Fluent English in speaking and writing Experience with Jenkins and Jira as well as experience with software development using C or C++ is a plus DevOps experience is good to have Interest in artificial intelligence or robotics What to expect working with us: Working in a revolutionary robotics industry Gaining the unique opportunity to experience and shape the development of a recently founded company Benefitting from the greatest possible creative freedom to develop your skills further Working at a modern and top equipped office between Mitte and Prenzlauer Berg – in the heart of Berlin Benefiting from a communicative, creative and stimulating environment Do you want to be part of our success story? We are looking forward to your online application.